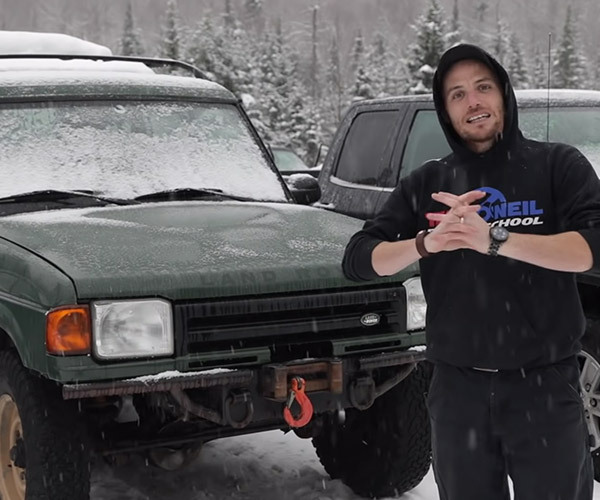 We spent a day off-roading in Toyota’s latest Tacoma, Tundra, and 4Runner TRD Pro series. All three now ride on rugged FOX shocks and are ready to take on just about any terrain you can throw at ’em. Check out our running footage, then read on for more. 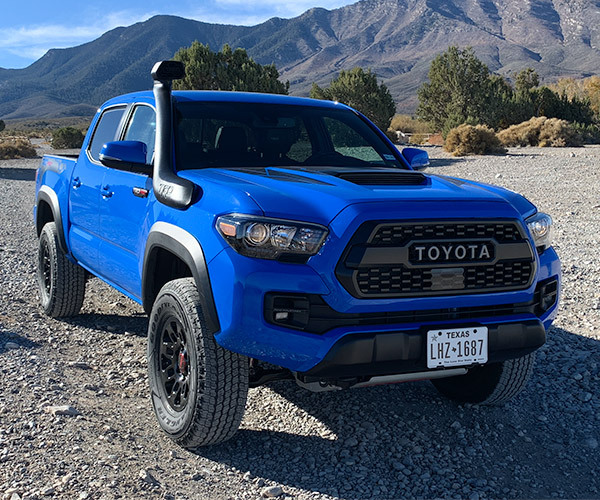 First up is the 2019 Toyota Tacoma TRD Pro. Thanks to its size, the Tacoma can make it down trails and over obstacles that bigger trucks simply can't. The lifted truck rides on 2.5" FOX shocks, and has TRD-tuned springs. 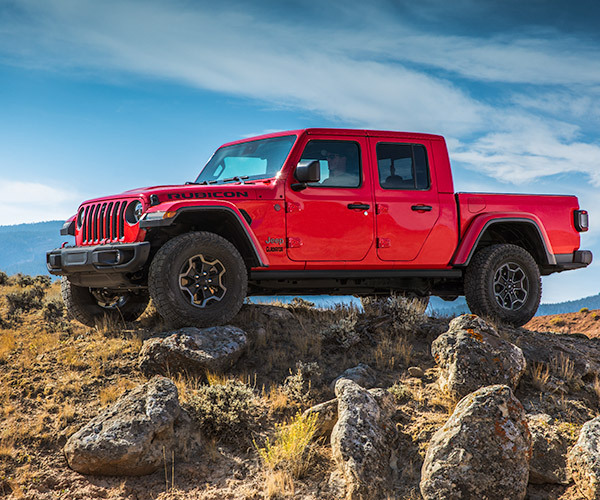 It rocks trail-rated 16" black alloy wheels, wrapped with Goodyear Wrangler Kevlar All-Terrain tires. Of particular note this year is the sweet-looking desert air intake, which is designed to improve airflow to the engine when riding through sand and dry desert dirt. 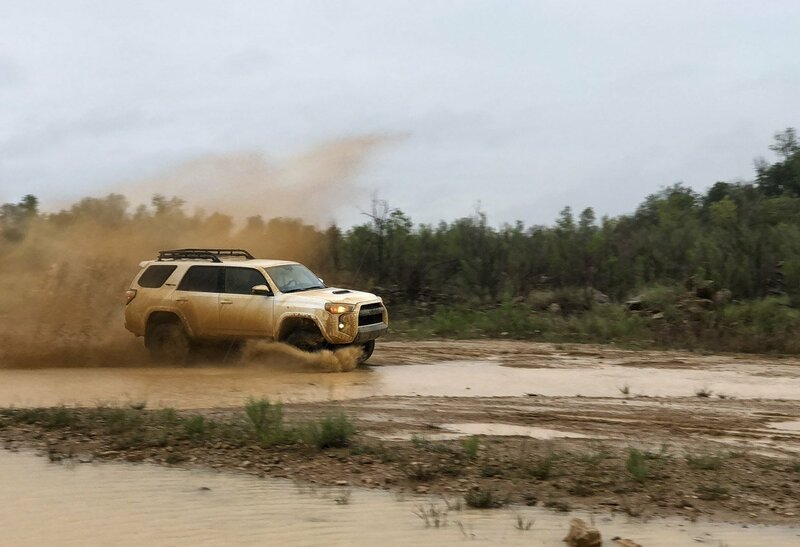 The 2019 Toyota 4Runner TRD Pro is our vehicle of choice for survival in a zombie apocalypse. Not only is it comfortable and capacious inside, but in TRD Pro trim, it can take on the most challenging terrain. It now has 2.5" FOX internal bypass shocks, which soaked up everything we threw at them off-road, while improving on-road ride quality. Besides a lifted chassis, skid plates are critical for protecting a vehicle's mechanical systems from rocks and other off-road obstacles. 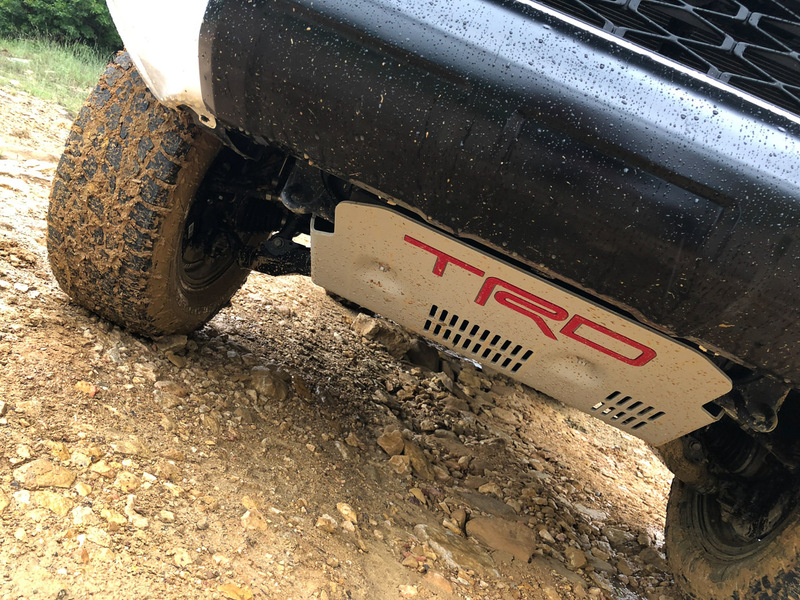 All three TRD Pros have an impressive 1/4" thick skid plate, emblazoned this year with a bold red TRD graphic. 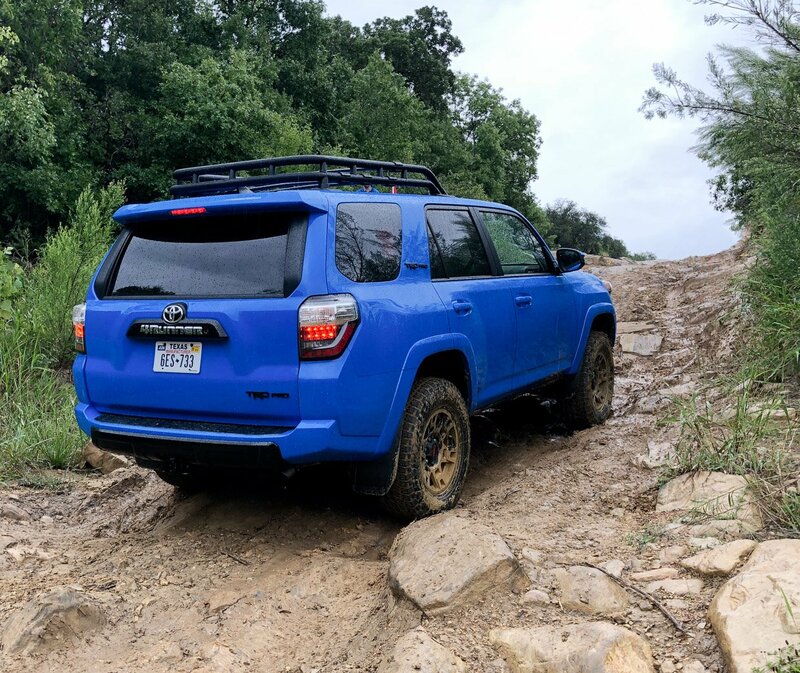 We traversed a wide variety of terrain at the Northwest OHV Park in Bridgeport, Texas, ranging from loose and sharp rock, to gravel, dirt - and thanks to torrential rains in the days leading up to our visit - mud and puddles for days. 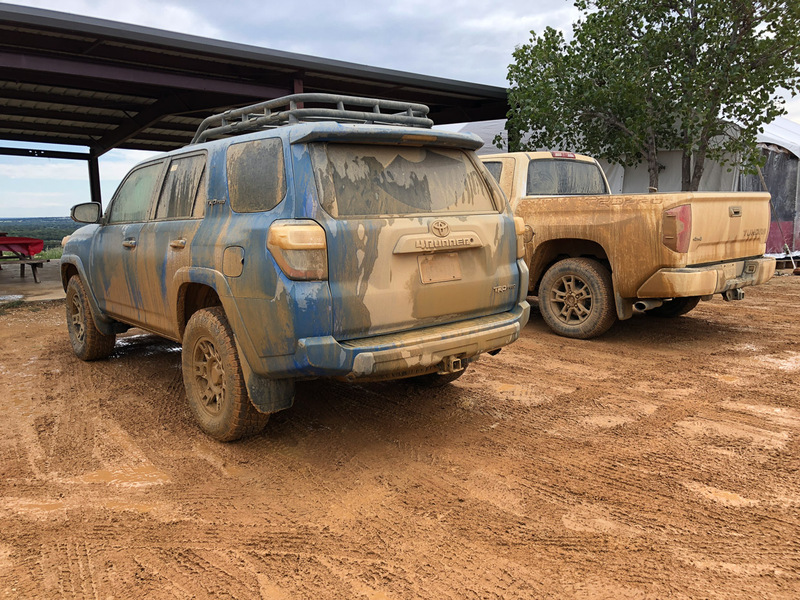 While the chunky Nitto Terra Grappler all-terrain tires on the 4Runner TRD Pro impressed us in most conditions, they were no match for the thick, globby mud that covered some rocky hills. 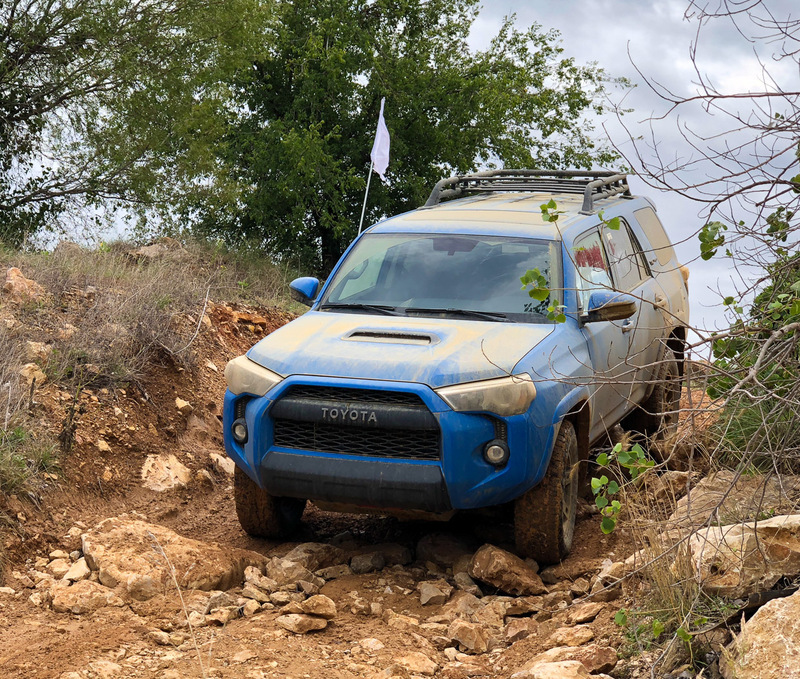 This made for especially difficult climbing, but with enough momentum, and judicious use of Toyota's Crawl Control, terrain modes, and locking rear differential, we were able to make it up the hill without a tow. 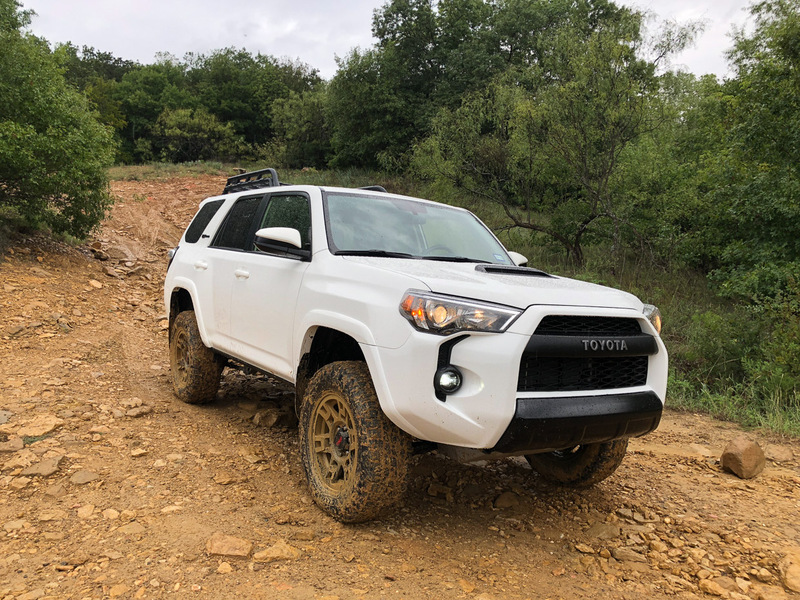 While we waited for the 2019 4Runner TRD Pro in front of us to make a climb, it gave us an opportunity to appreciate its sweet new roof rack. It stands out from the crowd with its double-rail tubular construction, and gives you plenty of extra carrying capacity up top in case the 89.7 cubic feet of storage space inside isn't enough, or you can't fold down the back seats due to passengers. 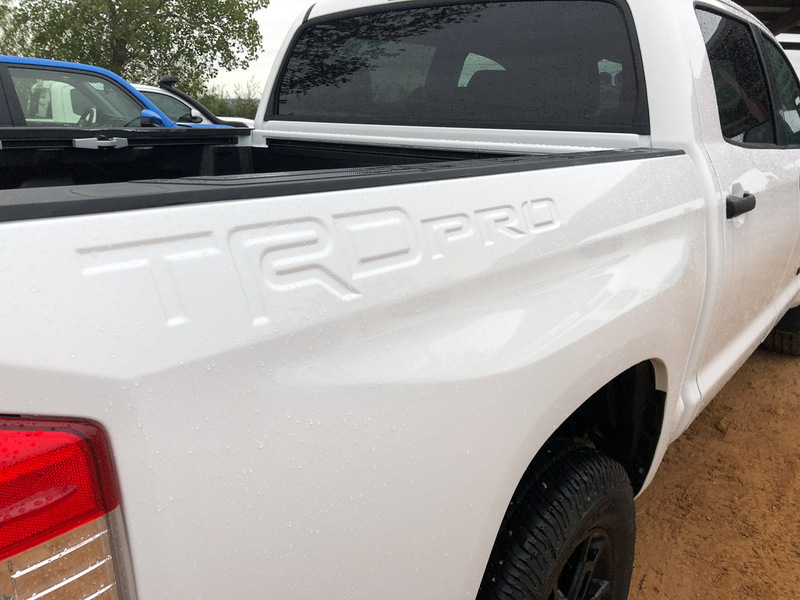 Every TRD Pro truck and SUV has distinctive and bold graphics, along with black accents, hinting at the performance and capability that sits beneath its exterior. Each of these vehicles is capable of handling the most daunting environments, while still offering versatility and ride comfort for everyday use. 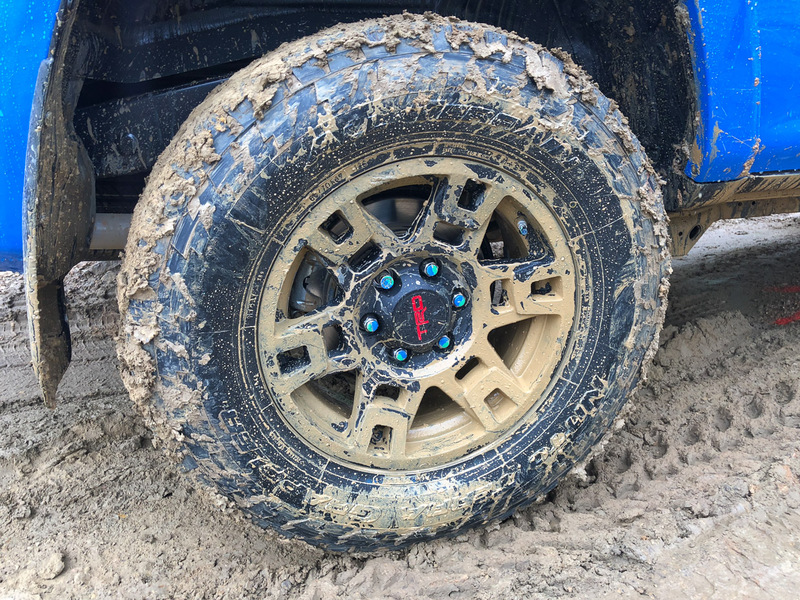 Our favorite part of the day was the high speed Baja-style course, where we cranked along at speeds nearing 50 mph on a slick and twisty mud-covered course. We grinned ear-to-ear as we splashed through puddles and did powerslides through each corner. There are far worse ways you can spend an afternoon. 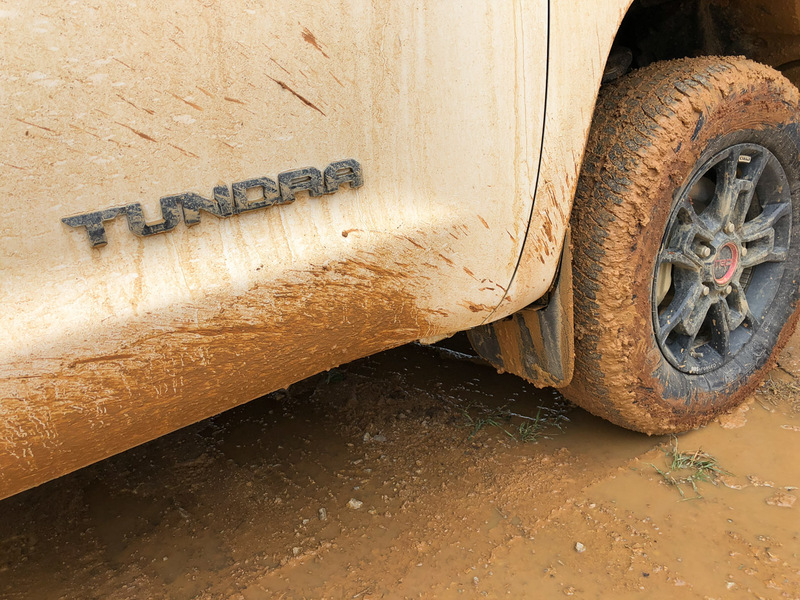 While we obsess over keeping sports cars shiny and spotless, the amount of mud you can put on your truck or SUV is the appropriate badge of honor for the TRD Pro line. We think we did these trucks and SUVs proud, with a little help from mother nature. 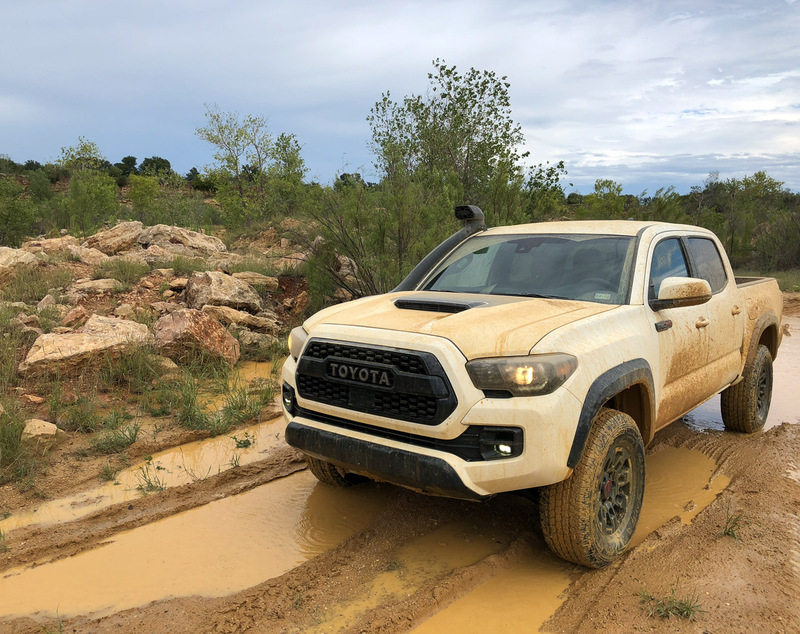 As the day came to a close, we admired our handiwork, and contemplated the robustness and capability of each and every Toyota TRD Pro we drove. Whether you go for the family-friendly 4Runner, the sporty and useful Tacoma, or the strong and brutish Tundra, you can't go wrong with any of these three vehicles.